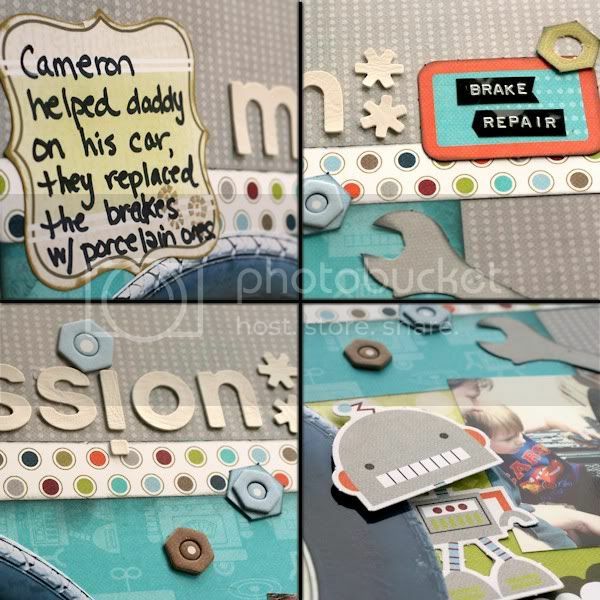 I loved loved LOVED creating with the Boy kit from Top Shelf Memories this month. 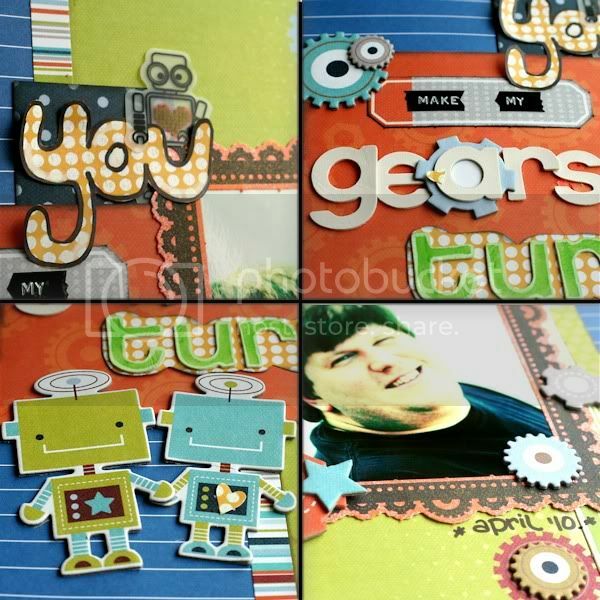 I completed ten layouts this month between the Main kit, and the Mini kit Taryn is offering this month. I printed out the larger photo with Cameron peeking behind it at 7x9, then cut around the title. I chopped the lil robots head off his body (sorry buddy...) and popped it up a bit.. isn't that cute? The add on has this full package of lil robots and gears.. it's chock full of goodies... I still have lots leftover for other layouts! 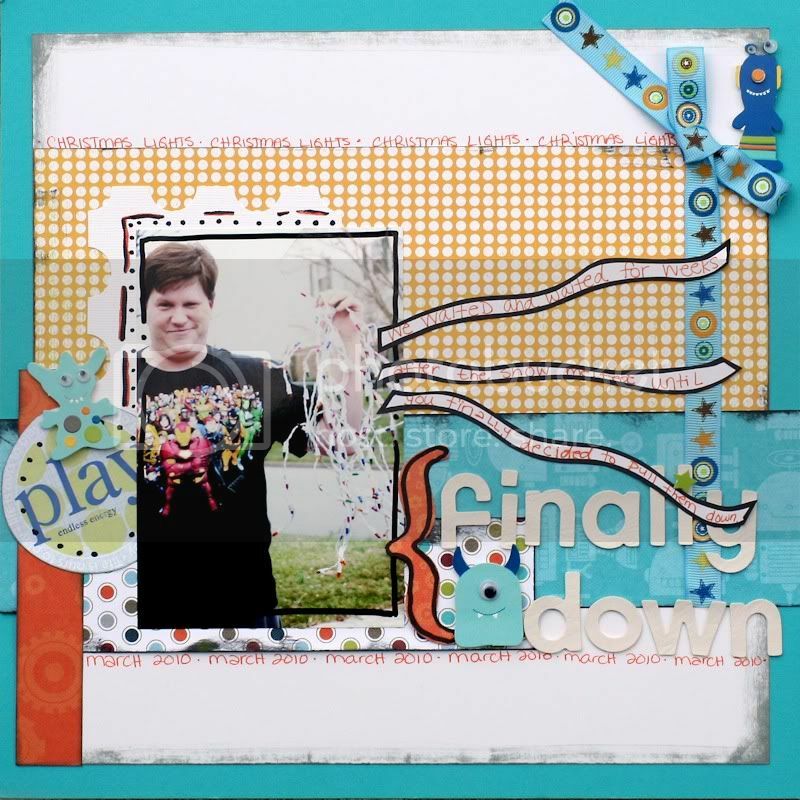 The frame around the photo was misted with the Maya Mist from last months kit... it's amazing! Oh yeah, and do you see that lil clear fella on top of the "you"... I cut his lil arm to drape over the word. Their so cute! This layout is based off Lindsey's sketch that will be going out with the kits. It took my babes weeks n weeks after the snow melted to finally pull down those Christmas lights... I was a lil embarrassed they were up so long.... until March. *grins* Ah well, it's good to know he procrastinates on things too! more reveals to come from this amazing kit!! To get yours, head here... Taryn is having some fantastic NSD sales too!